Lieutenant Frank Borelli is the Training Commander for the Fairmount Heights Police Department (Maryland) and has been a law enforcement instructor since 1989. Using his six-year military background and twenty-year police background, Frank Borelli regularly writes equipment evaluations and incorporates new technologies into his training programs. Currently Lieutenant Frank Borelli teaches use of force programs at all levels of law enforcement and corrections. 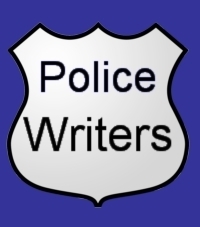 In addition to his police and military service, Frank Borelli began a writing career in 1999. With several dozen articles published internationally, he has become a recognized expert on police training techniques and technologies. Frank Borelli is currently a weekly columnist for the Blackwater Tactical Weekly as well as Officer.com, and Editor of the Borelli Consulting Forum News & Intel page. Frank Borelli s also the Editor In Chief for New American Truth magazine, a monthly publication launched in January 2007; and, a contributing editor for American Cop magazine, published bi-monthly. He is also the author of A Cop's Nightmare: Cloning the Ancients, A Cop's Nightmare 2: Vampires in the Old West (the first two installments of a planned 12 series) and American Thinking.